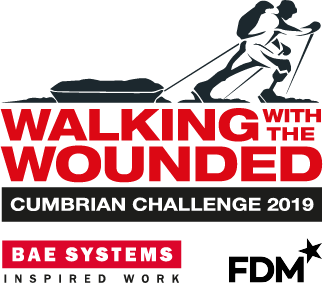 Undertake to either walk or run in teams of at least three or four along a predetermined route within the checkpoint cut-off times set by the event marshalls, in order to raise sponsorship funds for Walking With The Wounded (“WWTW”). Understand that WWTW reserve the right to alter the course without notice and/or cancel the event in consultation with and under the direction of Emergency Services and major event stakeholders/land owners. Acknowledge that the Event is a fundraising event in aid of WWTW exclusively. Agree to raise, as a team, the sponsorship target of £2,000 (£500 per person for a team of four) and share collective responsibility for raising this amount. Agree to raise £1,000 of the sponsorship target by the Friday of the week prior to the Event, in order to take part in the Event. Acknowledge the Event is organised by WWTW in order to raise funds for WWTW. Understand the amount of funds raised by your team does not include the sums paid as entry fees, nor the funds which may be subsequently reclaimed by the charity in Gift Aid. Agree that all funds raised must be paid to WWTW by WWTW’s stipulated methods by the fundraising deadline of 31 July 2018. Understand that, unfortunately, failing to meet your fundraising pledge may result in refusal from subsequent WWTW challenges or events. If you have any concerns or worries on this though, speak to the fundraising team who are there to support you. Agree that if, for any reason, you or any of your team members choose not to take up your place or the Event is cancelled, or you are not permitted to take part in the Event, all sponsorship forms and money collected must be forwarded to WWTW and will not be refunded. Agree that no funds raised will be paid to any charity other than WWTW or used for any personal expenses. Agree that valid details for all team members must be recorded at the point of application or by 1 May 2018. Agree that submitting an entry does not automatically guarantee entry to the Event. Understand that your place in the Event is not confirmed until you have paid the Event entry fee and received confirmation from WWTW. Acknowledge that entry works on a first come first served basis and once the Event has reached capacity no further applications will be accepted. Acknowledge that your team entry fee is non-refundable or transferable. any accident or injury which does not result from the negligence of WWTW arising directly or indirectly or in any manner whatsoever out of or in connection with the Event. The organisers will have no responsibility for damage to vehicles or property left within vehicles at the Event. Understand the Event involves sustained physical exercise in a beautiful but remote area, and involves walking over rugged terrain where there will be a much longer medical response time in the event of emergency. Agree you are responsible for your own fitness and heath to take part in the Event, will put in some training and have consulted a doctor about your participation if you have a medical condition or concerns. In the event of an accident or illness while taking part in this event, you give permission for Event staff to initiate medical treatment and to inform your emergency contact in case of hospitalisation. Confirm that to the best of your knowledge you have submitted, as part of the online registration, a true and accurate description of your medical history and current condition. You agree to inform WWTW of any medical or other condition that might affect your ability to take part in the Event. Understand the course will include road crossings and some short sections along roads. All normal road rules apply and teams should take extreme care while on roads. Understand that all team members must be 18 years or over on Friday 18 May 2018 to be eligible to take part in the Event. 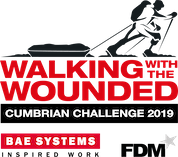 Understand WWTW will not carry insurance in relation to your participation in the Event so it is your responsibility to obtain any necessary insurance in connection with the Event. WWTW challenges are open to participants of all backgrounds and we will do our best to cater for any special requirements you may have within reason. If you have any medical problem or disability which may affect your involvement in the Event we ask you to contact WWTW beforehand and you must provide us with full details when signing up for the event (such information will be dealt with in a confidential manner). Before we confirm your booking we will advise as to the suitability of your chosen arrangements if possible, and we will endeavour to assist you. If we reasonably feel unable to properly accommodate the particular needs of the person(s) concerned, we will not confirm your entry or, if full details are not given at the time of signing up, we reserve the right to cancel where relevant. Agree that you must take part in teams of four people, all of whom must be 18 years of age or more on the day of Event registration. Understand that team members must start together, remain together on the trail and must check in at each checkpoint and the finish point together. Team members may not leave a checkpoint until the whole team has reached that checkpoint (unless a team member withdraws - please see withdrawals and injuries for more details). Agree that a team’s recorded time at each checkpoint and at the finish will be the time of the last team member. Acknowledge that it is the team’s responsibility to ensure that they have been correctly checked-in at each checkpoint. Agree that you may not be transported by vehicle along any portion of the trail or between any points on it, unless you have formally withdrawn from the Event. Agree to wear the timing wristband (or equivalent) and identification number at all times during the Event. Agree to return the timing wristband on the day or within a week of the Event or be liable to an additional £30 charge to cover the full cost of the device. Use the litter and recycling bins at the checkpoints and the start/finish location. Understand that teams must leave each checkpoint before the cut off time stated in the safety briefings in order to continue on the course. Understand that failing to wear identification numbers, failing to comply with safety order notices issued by the Event marshalls, or acting dangerously or unfairly to gain advantage during the event may result in disqualification. Agree to behave in a way that does not cause offence to fellow participants, Event staff or the public, and does not in any way bring WWTW into disrepute. Understand that registration is a mandatory safety procedure and it is each team’s responsibility to ensure that this is completed in good time prior to the start. Understand that no team member substitution is permitted after the team has registered at the Event. Understand that registration may include signing an essential kit disclaimer form to ensure that each team member is adequately equipped to take part. All participants agree to abide by the terms and conditions set out in the Event safety briefings which take place on Friday 17 May 2019. All participants MUST attend one of these compulsory safety briefs at the Event HQ. If you are a smoker, agree to smoke only in the designated area provided at the Event. Acknowledge that all registered team members who complete the Event will receive a medal. Agree that only registered teams that complete their challenge as a team of four within the relevant cut-off time will be entered into the official team results. Understand that the entry fee contributes towards the cost of the event and is non-refundable or transferable. Agree that substitution of team members is permitted until two weeks before the event. All changes must be communicated to WWTW before this date. Any changes made after this date are at the discretion of WWTW. Agree that any member who is injured or exhausted on the course must be brought to the nearest checkpoint for assistance. If the casualty cannot be moved, one person must stay with them while the remaining members seek help. Under no circumstances is a casualty to be left unattended. Agree that if you wish to withdraw from the event you must first report to the nearest checkpoint or contact Event Control and must return your timing device. Understand that it is the responsibility of the remaining team members to ensure that the organisers are aware of the withdrawal and the team may not continue until it has been reported. Understand that if a team member withdraws on the course, only teams with three members still remaining will be allowed to continue, for safety reasons. This means that if someone else if injured, one person can stay with them and one person can go for help. Teams of two will not be allowed to continue and will have to descend with their team mate – which good teammates should be doing anyhow. Understand that if two team members withdraw from a team of four, or one member withdraws from a team of two, the remaining two may only continue if another team formally accepts responsibility for them for the remainder of the event and this is notified to Event Staff. Understand that teams of two may not start the event unless they can be paired with another team of two or more. Understand that in the course of registering and participating in the Event, WWTW will collect personal data from you and your team members. Agree we may process and use the personal data collected for administrative, research and publicity purposes. Agree that by entering the Event you give us permission to use your name (and that of your team, team members and organisation that you represent), voice or picture in any broadcast, telecast, advertising material, or other account of the Event. Agree that images, film and interview material taken at the Event of all participants and any supporters may be used by WWTW to promote the Event and other WWTW events in the future to further support the charity. WWTW retain all rights, title and interest in such photography or media made by or on behalf of WWTW and have a licence to use any material shared with WWTW by participants either direct or publicly on social media. Agree that we may also use your details to send you information about future events which we think may be of interest to you. You will provide WWTW with certain information about yourself when signing up for the Event, including medical information, and in doing so you consent to WWTW using and sharing the data with our event partners Distant Horizons in order to manage and operate the Event. We do not sell or swap your details with any third parties, but in order to carry out our work to deliver the Event we may need to pass your details to service companies authorised to act on our behalf. We will keep your details on our database so we can provide you with the best possible support every time you contact us. You are entitled to request access to, and correction of, all of your personal data collected by us, as well as requiring us to delete your data if you no longer wish us to process it after having taken part in the Event. To make such a request please email Viveca@wwtw.org.uk. WWTW would like to contact you about our fundraising events and the impact your fundraising is having on our projects supporting wounded veterans. If you would prefer us not to use your details in this way please email info@wwtw.org.uk or follow the ‘unsubscribe’ option on future communications. Understand and agree that by submitting an online registration to participate in this event, I am consenting to receive email and postal communications from WWTW regarding The Event. I acknowledge it is my responsibility to ensure emails regarding my participation in the event sent by WWTW and/or event organisers (including but not limited to email receipts, tickets and advanced notices) are received by me, and are not redirected to Spam or Junk folders or sent to email addresses I do not have access to. Acknowledge that my data will only be used for marketing purposes, including but not limited to electronic marketing, if I provide specific consent for this during the registration process. I understand I may unsubscribe from any marketing lists I do opt in to receiving at any time, either by using the link provided in e-mails or by calling WWTW at any time. WWTW is not responsible for participants’ accommodation during the Event. We hope you don’t have any and we work hard to try and foresee issues but should you have any complaints then please do get in touch with any WWTW staff at the Event, or, if that is not possible, then in writing to complaints@wwtw.org.uk as soon as possible after the Event. WWTW will not be liable for any issues arising from a force majeure event which prevents its delivery of the Event in any way, including (but not limited to) acts of God, threats of terrorism, industrial action and/or other events outside its control. These terms and conditions are governed by and construed in accordance with the law of England and the courts of England have exclusive jurisdiction to hear or settle any dispute or claim arising from them.